THT Direct uses its own Vehicles, and delivers to certain postcodes within Scotland. Unlike most of our competitors,we will give you a 2 hour time slot for your delivery Free Of Charge, so you won't have to wait in all day. At checkout you pick a delivery date which is suitable for you, then once your order has been processed you will receive a Text message or Email the evening before confirming your 2hr delivery slot. You will be able to choose your delivery date just before you pay for your order. Our standard deliveries are made between the hours of 6am and 8pm, 6 days a week. A signature will be required upon delivery. You will be notified of your 2-hour delivery time slot by email or SMS between 6pm and 9pm the day before delivery. This Samsung television is packed with the latest technology to help you make the most of your films and TV shows. Direct Full Array Elite panels ensure the best backlighting and pin-sharp contrast across the entire screen. HDR 2000 technology delivers images as the filmmaker intended, with more details preserved for your viewing pleasure – from the dark shadows of a horror flick to the bright scenes of an animation. And, the Quantum Processor 4K uses AI to give you improved 4K upscaling quality and the very best picture. Feel like the colours on your TV are faded or dimmed? You’ll never look back with the QE55Q90RATXXU. 100% Colour Volume provides cinematic-worthy colour from over a billion shades, balancing brightness and richness to give you dazzling hues, whatever you’re watching. Enjoy a range of connectivity with this Samsung model. You can stream from your PC, and make use of the internet on your TV with the Wi-Fi and Ethernet capability. Share the latest photos and music from your personal devices with Bluetooth, the four HDMI ports and three USB ports. Plus, enjoy Smart features thanks to the Tizen operating system, and over 100 free TV channels and radio stations with Freeview, already built into this model. 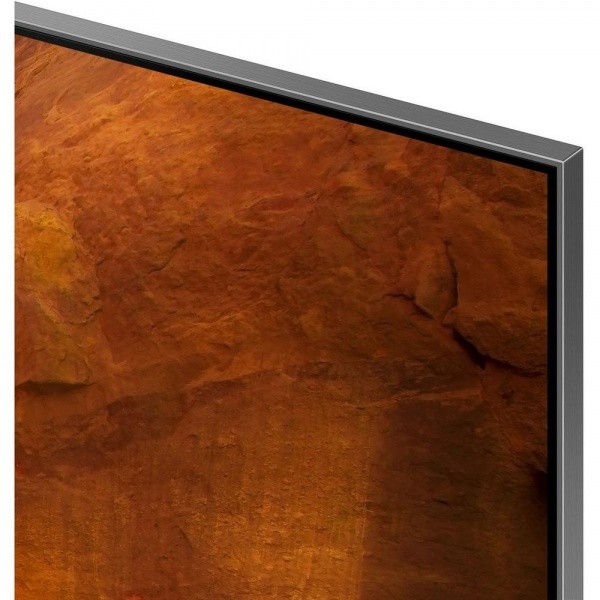 The Samsung QE55Q90RATXXU is designed to look at home in any living space. The silver bending plate stand and VESA capability let you display it on a cabinet, or mount it on your wall in pride of place. Screen Size Class 1397mm 55"
At checkout you pick a delivery date which is suitable for you, then once your order has been processed you will receive a message the evening before confirming your 2hr delivery slot. The areas we deliver to on weekends will vary and we may not be able to offer a weekend delivery to your area. We are pleased to offer our customers a Buy Now Pay Later facility. This means that you can order the goods you want today and not worry about paying anything for up to 12 months. You can choose to pay in full by the end of the interest fee period (final settlement of £29); alternatively, you can spread the cost. If you decide not to pay in full during the interest free period, no problem, you will automatically revert to an interest bearing option, at typical 29.8% APR, spread over 48 monthly payments. This gives you complete control, even if your circumstances change. This facility is all completed online just tick Pay With Finance at Checkout you will be emailed a form from Hitachi Capital to Input your personal Information. All we require is your name, Email address, Home address. 2. Select Buy With Finance At Checkout. 3. Pay the balance back to the finance company whenever you like within the deferred period. 1. We cannot ship a finance order to a different delivery address. All finance orders will be delivered to the billing address. 2. You cannot apply for credit if you have not been a resident of this country for 3 years, if you are receiving unemployment benefit or are under 18 years of age. Credit is subject to status, arranged by Hitachi Capital Finance.